It is with great sadness that the family of Reiko Nogamine announce her passing on Friday, August 31, 2018 at the age of 83 years with her family by her side. She was the beloved wife of Shigeru Nogamine of Lethbridge, loving mother of Mary (Ken Nishi) of Calgary and Bachan to Jordan, Carly and Kevin Nishi. She is also survived by her brothers Shinobu (Tamiko) of Osaka, Japan; Tom (Setsuko) of Lethbridge and Tsukasa (Chiyoko) of Miyazaki, Japan and numerous nieces and nephews. She was predeceased by her son Jim, parents Yukichi and Fumi, brother Isamu and sister Kyoko. Reiko was born on April 1, 1935 in Kagoshima, Japan. 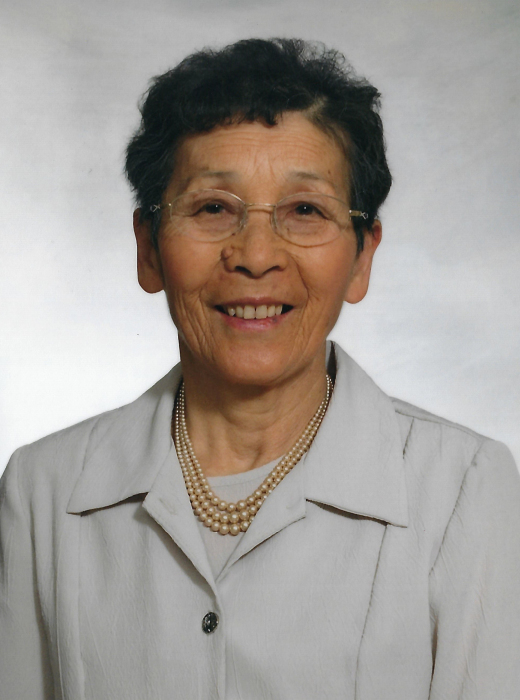 She and Shigeru with Jim and Mary immigrated to the Vauxhall area in September, 1967 as part of the first group of Japanese to be allowed to immigrate to Canada, post-war. This group formed their extended “Canadian family” and in 2017, they celebrated their 50th anniversary of being in Canada with their children and grandchildren. They lived and worked in the Vauxhall and Taber area from 1967 – 1976 after which they bought their own farm west of Burdett. They farmed from 1976 to 2007. She also worked outside the farm at Shimbashi’s and Lamb Weston potato facilities where she made many friends – celebrating their birthdays with gifts of home made sushi, pickles and desserts. She was an avid gardener throughout her life – toiling for hours to produce bountiful amounts of vegetables which she generously shared with her family, friends and neighbours. She was also known for the many kinds of Japanese pickles - tsukemono which she also shared with family and friends. After retirement, they moved to Lethbridge, where the back yard did not provide enough room to grow all the produce she wanted to grow, so they rented a community garden plot to continue to produce enough vegetables to share. She was a hard working, caring and generous person, always thinking of others before herself and always calling to see how the grandkids were doing in school and whether they got home safely from their many school and sporting events and their commutes to university. She always had delicious Japanese meals ready to eat whenever the grandkids would visit with extra home made munju and sushi to take home with them. Friends may meet with the family on Wednesday, September 5, 2018 between 7:00 p.m. and 8:00 p.m. at CHRISTENSEN SALMON GENERATIONS FUNERAL HOME, 703 – 13 Street North, Lethbridge. The Funeral Service will be held on Thursday, September 6, 2018 at 11 a.m. at Christensen Salmon GENERATIONS Funeral Home, 703 – 13 Street North, Lethbridge. Interment to follow at Mountain View Cemetery, Lethbridge at 2 p.m.
We wish to extend our sincere gratitude and thanks to the entire nursing staff and Palliative Care Doctors at the Chinook Regional Hospital and St. Michael’s Health Centre Palliative Care Unit for the all the comfort and care they provided to her.